Trail: Mt. Waterman Road to Summit and return via the Mt. Waterman Trail. Stats: 6 miles 1250′ gain and loss. Track map for Mt. Waterman Loop from February 2017 using Backcountry Navigator (US Forest Service-2013 map) from my phone. Route description: Given the number of ski runs that aren’t shown on the map, it is best to hike the road up the first time because it is not confusing to follow in the uphill direction. At the junctions, go up and to the right. The one exception to this rule is near the top when more of a split is reached. Go left at this point (turning right will get you there too, but, it will be a little longer). Go left at the split near the top of Mt. Waterman Road. Continue following the road until forced to turn left and follow the ridge to the summit. From the Summit, follow the summit trail down to the junction and turn left (east) and follow the Mt. Waterman Trail back down to the trailhead. 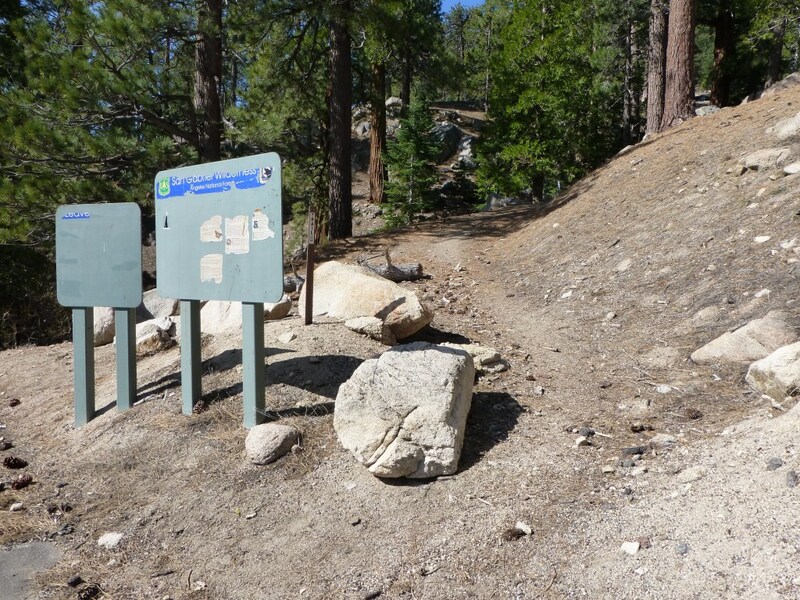 Trails Of The Angeles: hike #60 (for the part of the loop that doesn’t include the road). View from the west end of Mt. Waterman looking west.